For a girl's kangaroo mask that's cheap to print, this mask is a great fit. 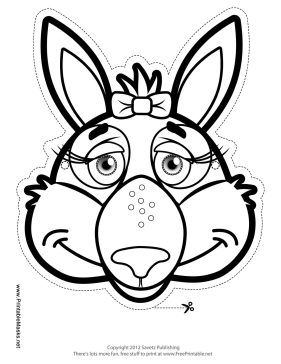 The mask, which has long kangaroo ears and a delicate bow, can be printed in black and white and colored in by hand. This mask is free to download and print.